In his 164-match Test career, Dravid performed the anchor’s role for the Indian middle order, scoring 13,288 runs at an average of 52.31. The reference was, of course, to the great Indian batsman Rahul Dravid, who scored three centuries on that tour, in what turned out to be his last year of international cricket. In his 164-match Test career, Dravid performed the anchor’s role for the Indian middle order and earned the sobriquet, ‘The Wall’. His near-flawless defensive technique and immense concentration acted as armour that helped him face a record 31,258 deliveries in Test cricket. Dravid, who made his debut at Lord’s in June 1996, holds the unique record of being the first batsman in the history of the Test cricket to score a century in 10 test playing countries. Over his 15 years of international Test cricket career, he scored a total of 13,288 runs at an average of 52.31, including 36 centuries and 63 half-centuries. He also held a record 210 catches in Tests. On his 46th birthday, ThePrint recalls some of the most memorable innings of the cricketer who once pursued an MBA degree. In a match that changed the course of Indian cricket, Dravid played one of his finest knocks. With Australia leading the 3-match series 1-0, the visiting team posted 445 runs on the board in the first innings at Eden Gardens and India wrapped up for just 171 runs. 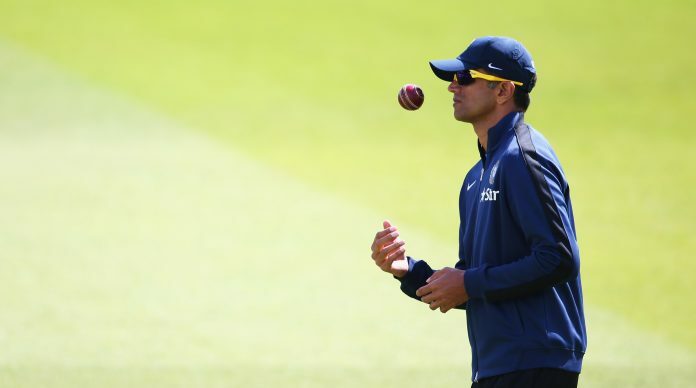 To rescue India from the jaws of a certain defeat, Dravid partnered with V.V.S. Laxman in the second innings. While Laxman hogged the spotlight by scoring his career-best 281 runs, Dravid too made a significant 180. This was his first century against Australia. The duo scored 376 runs for the fifth wicket partnership. India defeated Australia by 171 runs and went on to win the defining series 2-1. With a well-fought draw in the Brisbane opener, India proceeded to Adelaide on their 2003-04 tour of Australia to win their first possible series victory Down Under. In the first innings of the match, Ricky Ponting scored 247 to take the mighty Australian side to a massive 556 runs. India was 85-4 on the second day in response. The pair responsible for the now-famous Eden Gardens win came together again, with Dravid anchoring India’s innings by scoring 233 runs, while Laxman made 148, to take India to a competitive score of 523. In Australia’s second innings, Indian pacer Ajit Agarkar had his own ideas as he ran through the batting line up with final figures of 6-41. Chasing a modest target of 229, Dravid played yet another important innings of 72 not out. India won their only match on the tour by 4 wickets. Dravid was awarded the Man of the Match. In the third and final Test against Pakistan in Rawalpindi on India’s 2004 tour, Dravid scored his career-best 270 runs in the mammoth first innings total of 600 after Pakistan’s measly 224. Although his innings here was not flawless, with lifelines at 71 and 230, he made the most of it, even winning the Man of the Match. Pakistan scored 245 in the second innings to hand India an innings-and-131-run win. India also won the series 2-1. India had a disastrous tour of England in 2011. After losing the first three Tests, the team was looking to avoid a humiliating whitewash. In the final Test at The Oval, the English team declared at 591 runs in their first innings. The Indian batsmen fell like ninepins, except for Dravid. Dravid, who opened the innings alongside Virender Sehwag, carried his bat with 146 not out to his name, while India scored 300 runs. India was forced to follow-on. The batting order collapsed once again in the second innings and England won by an innings and 8 runs to clinch the series 4-0. Through the tour, no Indian batsman was able to score more than 275 runs, while Dravid went on to pile up 461 runs with three centuries. Later that year, India went on to tour Australia and suffered another humiliating 4-0 whitewash. In the series, ‘The Wall’ was finally breached as he was bowled six times in eight 8 innings. On return, Dravid announced retirement from international cricket, leaving behind an incredible legacy. The report has been amended to correct the fact that the 2001 series against Australia comprised three matches and not four as written earlier.